This course investigates communication and relationships in creating a productive work environment. Effectiveness in personal and social relationships is also covered through readings and exercises involving non-verbal communication, constructive feedback, dealing with anger, and resolving conflict. This course exposes students to the nature of conflict within organizations and the various forms of employable conflict resolution techniques. Emphasis is given to overcoming positional or contentious strategies while building collaboration and offering choices. Focus is placed on understanding the interdependence of groups within the system and the cohesion necessary for organizational effectiveness. Types of managerial functions necessary for organizational operation are explored. The course is built around the topics of planning, organizing, directing, controlling and decision-making. This course examines the psychological and sociological variables associated with the behavior of individuals in a group or organizational setting. Students will be challenged to recognize personal styles of interaction and the effects of those styles in organizational settings. Capstone for the management/organizational leadership major. The student will have the opportunity to read a variety of contemporary authors writing on effective management and leadership, participate as part of a study team, and prepare and present his/her own philosophy of management and leadership. Why Earn Your Associates Degree with a Leadership Elective Track? Earn your Associate of Arts with a Leadership Elective Track Online - Get the flexibility you need to achieve your education goals. 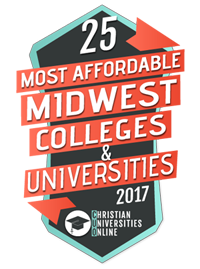 Here at Central Christian College of Kansas, we make earning your Associate of Arts degree with an emphasis in Leadership convenient and easy. Gain the managerial skills needed to lead project teams, supervise employees and motivate workers for the good of the business – 100 percent online. Upon graduation, you can use your newfound leadership knowledge in a multitude of careers including human resources, consulting, customer service, higher education and corporate training.